For some home buyers, the decision of how much money to use as a down payment can be very confusing and hard. The information provided below is for the purpose of provoking thought and careful consideration about different financing programs available. It is not meant to steer you toward one particular program. It is merely an exposition of the options to consider when purchasing a home or investment property. The “Down Payment Requirements” chapter reviews the minimum down payment needs for conforming loans, as well as some of the available alternatives with non-conventional (FHA loans) programs. For example, you can purchase a single-family home or condominium with as little as 3.5% down payment. But there is a price for lower down payments on conforming loans: mortgage insurance (often called PMI, private mortgage insurance). Mortgage insurance is required when the conforming loan amount is MORE than 80% of the purchase price (practical translation: down payment is less than 20%). Also, the lower the down payment, the higher the premium ratio charged. Military veterans who qualify for a VA loan have the easiest route to buying a home with the need for no money down. VA loans can provide up to 100% financing for qualified military personnel and veterans. There are also non-conforming mortgage loan programs available that allow for 80/20 set-ups, which allow borrowers to obtain a second mortgage to cover the 20% down payment. The bottom line is that regardless of your credit and income situation, you actually have different options to purchase a home with no money down. The downside of a small down payment, whether you are using a conforming loan or a non-conforming program, is that you will need to pay higher interest rates and mortgage insurance. Mortgage insurance is calculated against the loan amount, so you get hit with a double-whammy. Lower down payment means a higher loan amount and a higher mortgage insurance rate. Mortgage insurance can be removed once sufficient equity is produced. So if the property shows at least 20% equity in a few years, the mortgage insurance can be refinanced away. A related burden of lower down payments is obviously higher loan amounts, which translates into higher monthly payments. Consider, for example, the purchase of a $100,000 condominium with market interest rates of 6.500%. With a 5% down payment, the loan of $95,000 would have monthly payments of $600.46. However, a 10% down payment would decrease the loan amount to $90,000 and the payment to only $568.86 per month. During the first few years of the mortgage loan, the bulk of your monthly payments are for interest—which is normally tax-deductible. So you actually get a bit of your monthly payments back at the end of the year in the form of tax deductions. Though the disadvantages of low down payments seem serious, there are also advantages. Take time to weigh the two and assess which is the best for you. Higher rate of return. You property’s appreciation will be the same whether you put 3%, 5% or 20% down payment. In fact, your rate of return actually decreases as you make a larger down payment, as discussed below. Opportunity cost. In some cases, the smart investor can make more money from available cash by placing it in other investments. How much to put down should be carefully thought out. You must make your own personal calculation, of the monthly payment that you can afford. Obviously, the lender will qualify you for a certain level, based on your income. But that qualification level is often different from the level that you feel comfortable with. Your mortgage lender may have qualified your income for a monthly mortgage payment of $1,500; however, you may feel that you can realistically afford only $1,200 per month. If that is the case, you must lower the loan amount by increasing the down payment or finding a less expensive property. Consult with your loan officer about the best situation for you, as well as ways to eliminate or minimize mortgage insurance. 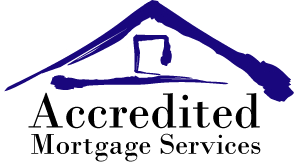 Accredited Mortgage Services offers some of the most competitive rates in the Nation! We offer a variety of loans. Accredited Mortgage Services will find you the loan that is right for you!!! My name is Boyd Byerly, and I have been in the San Antonio mortgage industry since 1999. Prior To entering the mortgage industry, I proudly served in the U.S. Air force from October 1985 through August 1992 in the field of financial management.